Adam’s Rib Co – Two locations in Gainesville. Consistently considered a must visit after 10 years in Gainesville. Famous for their bbq ribs, and smoked beef brisket, smoked pork and sides including southern collard greens and black-eyed peas. For a taste of the south, you will want to visit at least once when visiting Gainesville. They also serve breakfast and lunch. Backstreet Blues Chophouse and Oyster Bar – SW Archer Road. The owner/chef has cooked at the White House under Presidents Bush and Clinton and now brings his culinary talents to Gainesville. Dry aged steaks, premium seafood, fresh oysters, of course, alligator and more. Nice wine list, cocktails, beer and more. Open for dinner only. Closed on Sundays. Great place for celebrations or a special night out. Happy hour and brunch served. Ballyhoo Grill – This island-style restaurant with indoor and outdoor patio seating offers seafood, steaks, oysters, salads, soups, pasta and sushi, all made from scratch. Live music inside. Big Lou’s NY Style Pizzeria – Downtown. As the name implies, this is a NY Style Pizzeria in a very casual atmosphere. Also serving calzones and stromboli, subs and pasta dishes. Boca Fiesta– Downtown. Mexican fare with veggie options combined with southern food Here you’ll find gourmet tacos, enchiladas, chimichanga with your choice of protein including tempeh and burritos with a twist- try their gator tacos. Dragonfly– Downtown. High-quality sushi and other Japanese specialties prepared tapas style. A contemporary take on traditional rolls and other specialties. Embers Wood Grill -34th Street. Known for their prime steaks served over a wood grill. Try their Prime Filet Mignon flatbread and crispy Florida Gator tail (you are in Gator territory) Seafood and vegetarian options. Great place to celebrate graduation, birthdays, and all special occasions. Upscale. Try their sister restaurant, Spark, located next door for a Gastro menu and beer, wine and champagne. Emiliano’s Cafe – Downtown. Latin flavors of the Caribbean, South America and Spain using their family’s recipes. From Arroz Con Pollo to Paella to Pollo Isleno with corn arepas. Tapas menu available too. Francesca’s Trattoria – Located at 4410 NW 25 Place. They specialize in homemade authentic Italian food including brick oven pizzas, pasta, seafood, specialty pastas, chicken, veal. A true Italian menu. Also open for lunch and brunch. Harry’s Seafood Bar & Grille – Downtown. Known for their cajun, creole and southern cuisine. Authentic New Orleans flavors including jambalaya, Po’ Boys A staple in Gainesville for over 25 years. Las Margaritas – 39th Avenue. Authentic and more traditional Mexican cuisine, including tacos, quesadillas, burritos, enchiladas and more. Try not to fill up on the salsa and chips that come to the table almost as soon as you are seated. La Tienda Latina – 13th Street. Latin American meets Mexican with enchiladas, empanadas, tacos, burrito. A great place for a casual, fairly inexpensive and quick Mexican meal. Leonardo’s 706 -The original Leonardo’s was an institution at UF since 1973. The original location was purchased by the University of Florida but fear not, you can still get their infamous pizza at their new location and many more Italian offerings. Liquid Ginger – Downtown. Thai and Japanese fusion entrees and sushi bar. Try their bento boxes which include salad and soup plus ice cream. Manuel’s Vintage Room – Downtown – Manuel’s is a top-rated restaurant serving outstanding Italian food, impeccable service and a vast selection of fine wines. Don’t miss their poached pear and ricotta filled pasta purses in a herbed brown butter cream sauce. Mark’s Prime Steakhouse & Seafood – Downtown. This is considered the go-to restaurant for special occasions (think graduation) if you are looking for a top steakhouse. Using the finest USDA beef, they are known for their filet mignon, bone-in ribeye, New York Strip steak, and Delmonico cuts all cooked over a wood-fired grill and served on a hot plate sizzling in butter. Seafood options include wood grilled salmon, lobster, seared diver scallops and more. Midtown Social -good bar food known for mac and cheese but turns into a bar at night rooftop with a good view of the stadium. Oak-Downtown- Southern fare prepared with a modern flair. We are talking about waffles with pulled pork, shrimp and grits, cajun crab dip, mac and cheese bites and more. Paramount Downtown– This is considered to be a bit more upscale than most restaurants in the downtown area. But, this being a college town, you can still get away with nice jeans. They use mainly fresh ingredients prepared in an inspiring manner. Recommend reservations especially during peak weekends. More of an upscale menu. Piesanos Stone Fired Pizza – Located in the Holiday Inn University Center (two other locations in Gainesville), they are known for their traditional pizzas and Italian food plus over 40 rotating taps of local Florida pints and national craft beers. We went to Piesanos after a UF football game but there was about an hour wait. Instead, they had ready-made pizza pies available so we grabbed two pies and headed back to our daughter’s house to eat. Satchel’s Pizza – A cash-only quirky pizza restaurant located on 23rd Avenue. If you’re in the mood for pizza with a vast amount of topping selections and calzones, this is the place to go. Closed on Sundays and Mondays. Taste Pho & Noodle House (Vietnamese) – 34th Avenue. Serving Pan-Asian offerings including sushi, pad thai and pho offerings. The Top Downtown – There is typically a minimum 45-minute wait on weekends to get into this hip spot known for its vegetarian and vegan options and modern take on American food. A must try when you head to Gainesville. V Pizza – Downtown. 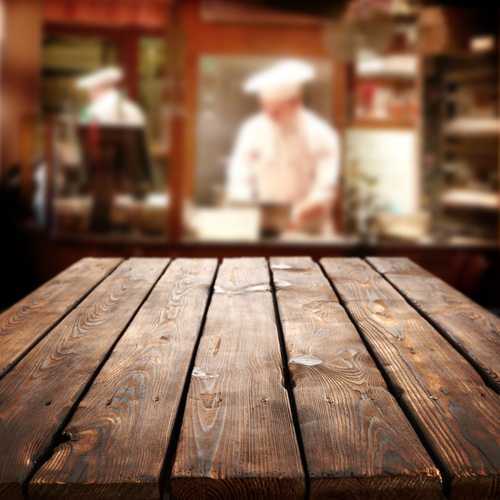 Known for their authentic Napoletana pizza – the ovens come from Naples, Italy. If you have ever been to Italy, you know pizza there is not like the pizza served in the States. Homemade dough with very little sugar and no preservatives. Known too for their meatballs made with no breading. Wah Ha Ha Thai Food & Noodle Soup – 13th Street- A fairly unassuming Thai restaurant with great Thai Food. They are closed on Tuesdays. They offer a buffet as well as an extensive menu. Yummy House Chinese Bistro – 34th Street- Authentic Chinese food and dim sum. Originally out of Tampa. The Swamp – Open for 21 years, The Swamp has been designated a national landmark. A definite must sometime during a visit to Gainesville but on Game Days, get there early or you will not get a table inside or on their front lawn patio, complete with large screen televisions. Traditional American fare including burgers, salads, wings and more. No reservations are taken on football or basketball game days and limited for graduations. Mojo Hogtown – Make sure to stop by this BBQ hotspot on one of your visits to Gainesville. Here you will serious smoked in-house barbecue pork, brisket, chicken along with their famous onion rings, fried pickles and southern platters. Pair that with a drink from their whiskey bar, craft beers. Full bar.